Ever since passenger lifts began to emerge at the turn of the last century, they have revolutionised the way we live our lives and how we design our town and cities. With the popularity ever increasing for vertical living, of towers and sky-scrapers which seem to get ever taller, it has only been able to become a reality because of the invention and onward development of passenger lifts. Lifts are now common place in residential flats, in our businesses, in shopping centres and in our places of leisure and they have become such a permanent fixture in our lives that often we take them for granted, or at the very least we don’t stop to think about just how fascinating and marvelous they really are. 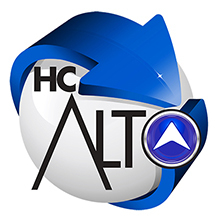 Whatever your requirements may be, here at HC Alto we will be able to identify the correct solution for your need and budget and guide you through the whole process under one roof. With an extensive range of carefully chosen and reliable products available and experience to match we are positive we can professional help in all aspects of your projects from supply only contracts to complete turn-key managed schemes. Do not be put off if your building has unusual needs as the solutions now available are endless. Regardless of whether your building is a complete new build, listed or covers many floors using an existing shaft we will find a bespoke purpose design solution to satisfy your needs in the most cost effective manner. Please don’t forget you can be creative with the interior too and make the experience of using the lift to be a pleasurable one. Whether you want to continue a corporate theme, a heritage finish or simply want to use bright modern materials and lighting all of these needs can be catered for yet still fully comply with all the current legislation. Some of the latest Scenic lifts with glass shafts and cars can be the centre piece of any reception and can give you’re your building the true finishing touch. Whatever the size of car, the amount of persons needed to be moved at any one time and the amount of floors you need to cover let us draw upon our 35 years of experience in this field and come up with the correct and reliable solution. We can also refurbish and modernise existing lift equipment should these services be required so please feel free to review this section in our website. For further information on passenger lifts and to open a discussion on your specific requirements, please contact one of our specialists at HC Alto.